Ambassador André Corsino Tolentino has had a notable career in the national and foreign affairs of the Republic of Cape Verde. A true statesman, he has worked in multiple capacities in the service of his country, including as Minister of Education, Member of Parliament, Deputy Minister of Foreign Affairs, and Ambassador to Portugal, Spain, France, and Italy. Ambassador Tolentino came to the University of Minnesota’s Humphrey School of Public Affairs in 1993 as a Humphrey Fellow. He continues to support the Fellowship program by serving on the selection board committee at the U.S. Embassy in Cape Verde. Ambassador Tolentino received his Ph.D. in comparative education at the University of Lisbon in 2006, where his thesis on “University and Social transformation: The Case of Cape Verde” is considered a seminal piece in the creation and development of the public University of Cape Verde. 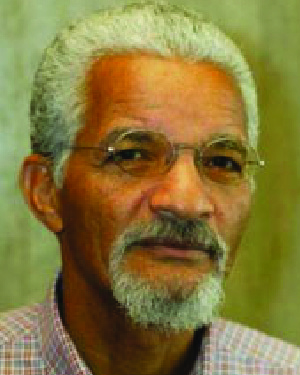 Upon completion of his Ph.D., he returned to Cape Verde and launched The West Africa Institute, an institution focused on innovative research and the development needs of the region. In naming Ambassador Tolentino as a recipient of the Distinguished Leadership Award for Internationals, the selection committee cited not only his accomplished senior leadership positions but also his continual commitment in fostering civic engagement, education, and capacity building in Cape Verde and the West African region.